Wargaming.net took everyone by surprise with World of Tanks, a free-to-play game that took a concept critics thought a niche – tank combat – and turned it into a worldwide phenomenon. 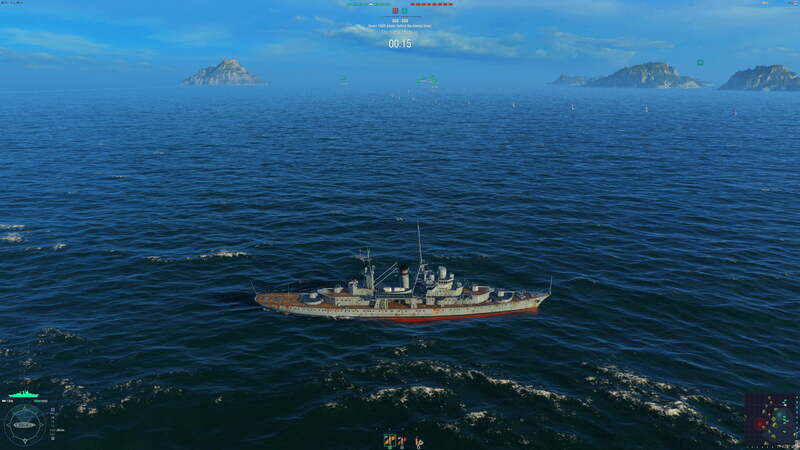 The studio has since tried to replicate that success, first in World of Warplanes, and now in World of Warships. 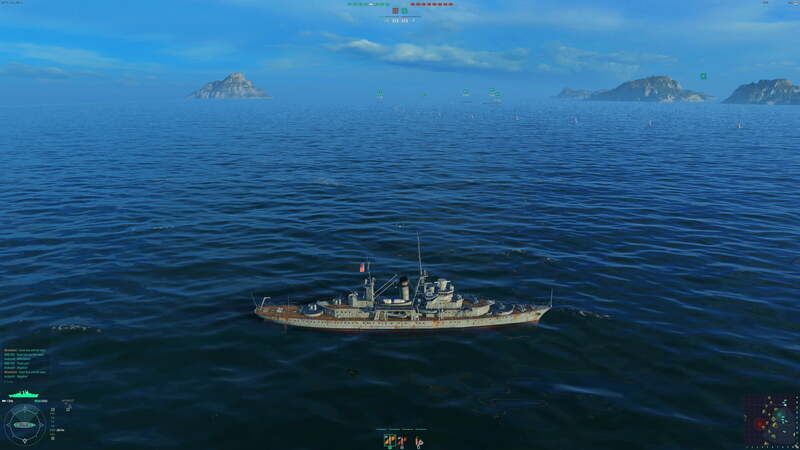 World of Warships, which I’ll abbreviate as Warships (because its acronym is easy to confuse with a certain Blizzard game), succeeds for much the same reasons as its predecessors. The game takes a sim-light approach, forcing gamers to make tough decisions about tactical position, movement and firing patterns, but communicate them through relatively simple controls. It’s an attractive game. Texture detail is a bit fuzzy up close, but this isn’t a game where you’ll spend time inspecting the deck paneling of your cruiser. 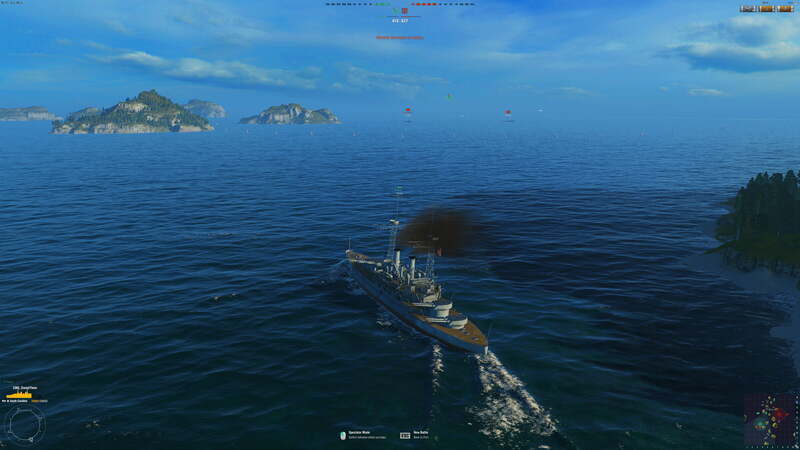 You’ll instead be concentrated on a warship five kilometers away. Water detail, warship detail and combat effects contribute the most to overall visual quality. So, how well does the game run, and what can you do to eek out a few extra frames per second? We have the answers. While pleasing to look at, Warships isn’t hugely demanding. This is partly due to the detail of the game, because some elements are lacking on close inspection. Textures are not the best, and the game’s many islands are garish up close. The developers get away with this because you spend very little time up close. This frees up resources to devote to the warships and to water detail. We tested the game with an Nvidia GTX 950 and an AMD Radeon R7 370. Both of these cards averaged 71 frames per second at Very High detail and 1080p resolution. It appears there was some limitation preventing the game from exceeding that point. We tried the cards in two systems, one running a Core i7-6700K, the other a Core i7-4770K. The cap was the same in each. This seems an odd decision. 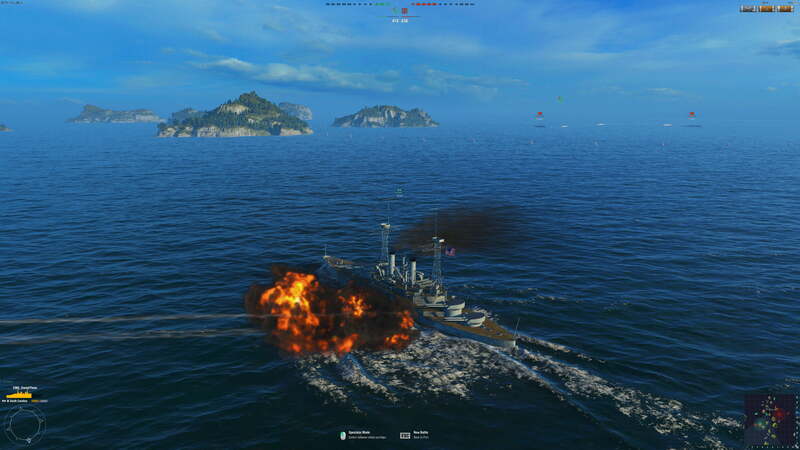 Most gamers don’t need more than 60 frames per second, and Warships in particular doesn’t benefit from high framerates. Reaction time is not this game’s most important skill. Still, anyone who spent money on a 90, 120 or 144Hz gaming monitor may feel jipped. To challenge the cards, we crept resolution up to 4K. At very high settings and Ultra HD the game ran far more slowly, averaging 29 FPS on the GTX 950 and 28 FPS on the AMD Radeon R7 370. Having found an appropriate challenge, we were able to find the tweaks that most efficiently improve performance. 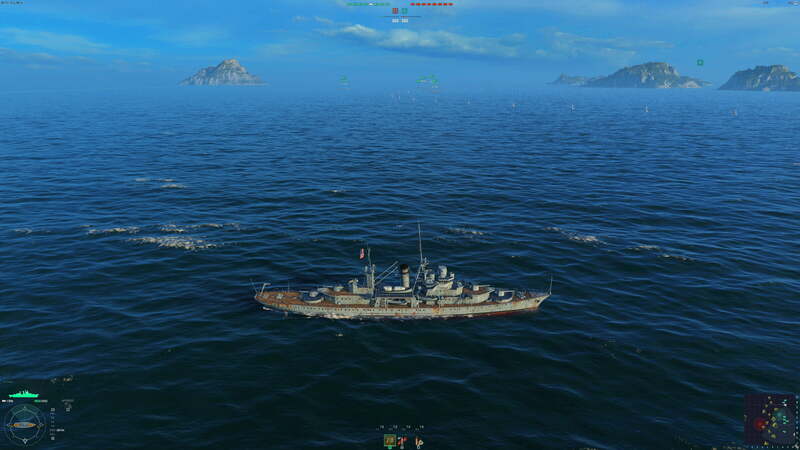 Warships comes with four different presets, ranging from Very High to Low. As you’d expect, they set details to the level listed, though some do lack a Very High option, instead maxing out at High. The largest gaps in performance can be found between Very High and High, and Medium and Low. On the GTX 950, reducing quality from Very High to High increased the average framerate from 29 to 40. The Radeon R7 370 responded similarly. That’s a nice boost that makes the game feel far smoother. Reducing quality from Medium to Low nets an even bigger gain, increasing the framerate from an average of 47 to a maximum of 71, a huge increase of 24 FPS. But you may not be happy with how the game looks. Here’s a screenshot at each preset. As with most games, backing down from Very High to High is the most practical improvement. The difference in image quality is extremely difficult to notice in gameplay, and only barely noticeable in screenshots like shown above. Medium detail results in a more distinct hit. 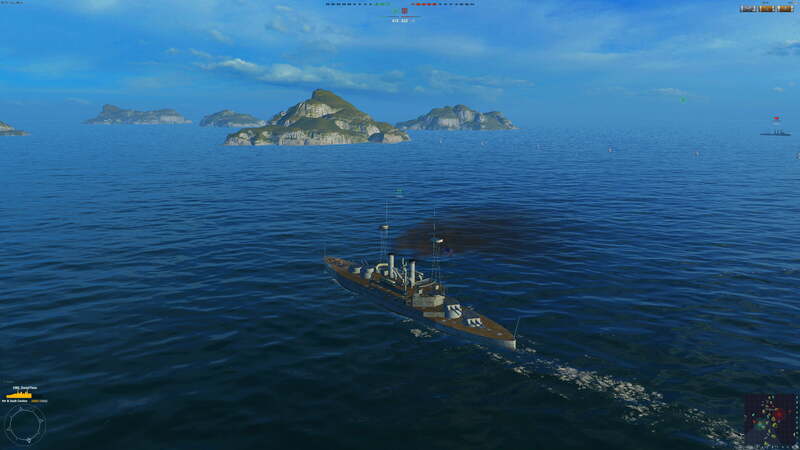 The water looks flatter, the trees on islands in the background have disappeared, and anti-aliasing quality is reduced, resulting in much less attractive radar masts. Reducing detail from High to Medium improved performance by about 15 percent — not a worthwhile trade, I think. Low detail suffers further. Islands have lost their trees entirely. The water looks quite flat and a bit like rolling jello rather than real waves. Texture quality is very low, as well, so ships look built out of feature-less gray slabs. But there is at least a real performance gain. Dropping detail from Medium to Low increased the framerate from an average of 47 to 71, an impressive gain of 35 percent. Dropping from Very High to Low more than doubles the framerate. To me, the High detail seems the best trade-off between performance and quality. But if it’s performance you need, you’re better off avoiding the presets entirely. There are several specific quality settings that make the bulk of the difference. 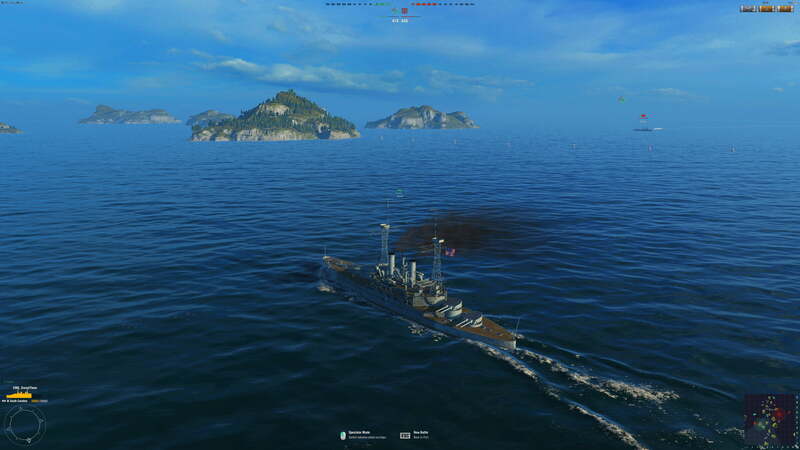 Like the human body, Warships is mostly water, so it may come as no surprise that manipulating this setting provides the single greatest performance improvement. On the GTX 950, turning Sea Rendering quality down from Very High to High moved the average framerate from 29 up to 35 FPS. Medium boosted it further to 39 FPS, and at low the game averaged 44 FPS. This is at 4K resolution, remember, and with all other settings on the Very High preset. The Radeon’s performance scaled similarly, increasing from 28 FPS with Sea Quality at Very High, to 46 FPS with quality at low. That’s a big jump. But is it worthwhile? There’s not a moment you won’t be staring at the sea, after all. To help you decide, we took screenshots of the game at every Sea Quality setting available. To my eyes, the reduction in quality is always noticeable, but it doesn’t become distracting until the Sea Quality is at low. Knocking down quality from Very High to High is an excellent way to grab some extra frames with very little downgrade in image quality. While Sea Quality was by far the most important setting, I discovered two others that make a substantial difference. These are Shadows and Reflections. On the GTX 950, turning Shadows down from Maximum to High increase the framerate from 29 to 32. Going to medium results in 35 FPS, low nets a slight bump to 36 FPS, and turning them off entirely pegs the game at 39 FPS. That’s 10 extra frames per second compared to Maximum. Reflections see less of a difference among the range of settings, with only two frames per second separating Very High and Low. Turning them off entirely adds four frames compared to Very High. The impact these settings have on visual quality depends a great deal on the particulars of the scene. Fights that take place in broad daylight see almost no negative impact from turning both shadows and reflections off, but battles that take place at dawn or dusk lack visual contrast. Still, turning Shadows down to low is a decent way to net extra performance. Combine that with a reduction in Sea Quality, and you can increase your framerate by 50 percent through these two settings alone. The rest of the settings, from textures to effects to terrain lighting, have minimal impact on performance by themselves. Turning textures down from High to Low only added two frames per second with both the GTX 950 and the AMD Radeon R7 370, for example. Most of these settings added less than half a frame per second to performance per step down from the highest available. This is not to say they’re irrelevant. Cumulatively, they can make a noticeable impact – but the image quality hit can be serious, as well. Turning off Foilage can net you an additional two frames per second, but it exposes the textures underneath, which often don’t hold up to scrutiny. 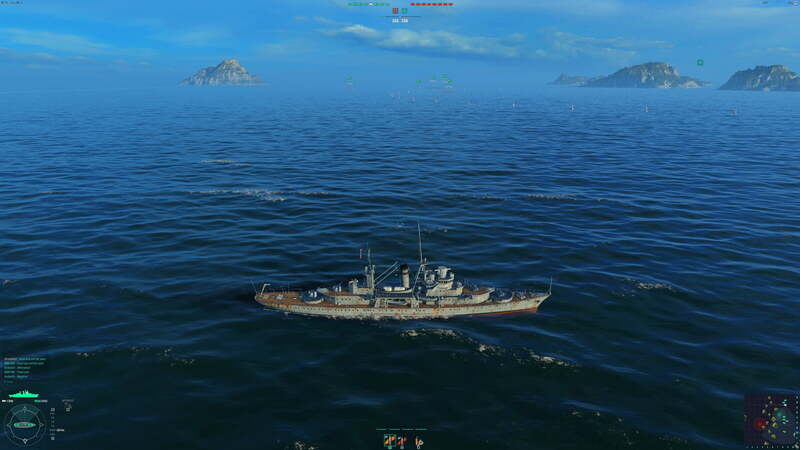 Wargaming.net has created a beautiful, yet approachable game in Warships. Its stunning vistas and incredibly detailed ships are a joy to watch in action, so much so that I often watch the continuation of a battle in spectator mode if I’m sent to the depths. The take-away from our testing is simple. If you need a bit of a boost to achieve your target framerate you can often achieve that by reducing from Very High to High detail. If you’d like to customize your settings, you’ll find the largest gains in the Sea Rendering, Shadows and Reflections, from most to least. Other settings make little difference on their own. Enjoy the high seas, and remember – while it’s tempting to gawk at your own warship, there are other players trying to blow you out of the water!